This year marks the 29th anniversary of Angels of Light, a cherished Second Baptist family tradition. This annual event continues to bless families from Houston’s inner-city and surrounding communities during the Christmas season. Students in all school levels participated in this year’s Angels of Light. Lower schoolers collected wrapped toys during carpool, while middle and upper schoolers collected sports balls. Lower school collected a total of 360 toys. Between middle and upper school, over 300 sports balls were collected! In addition, over 60 students served at the event itself as either bus captains, greeters, distributors, toy wrappers or grocery sackers. 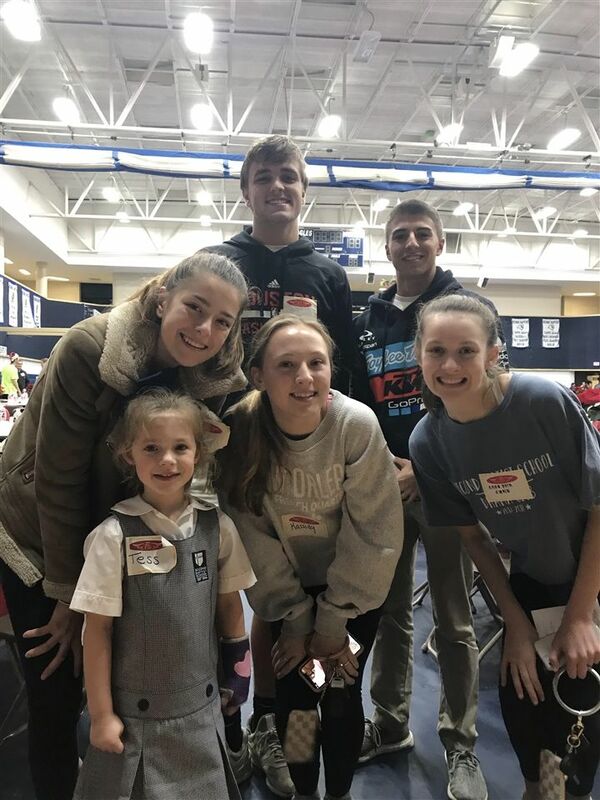 According to upper school Service Prefect Madison Pennington ‘19, “It is important for us as students to serve and give back through Angels of Light. During this busy Christmas season, it is a good way to press the pause button on our lives and be thankful for our blessings. Seeing the smile on the kids’ faces is so humbling.” She went on to say, “My favorite part about serving with my friends and my sister is being able to have fun while also helping.